The Life Extension Blog: Is There a Link Between Vitamin D and Depression? Is There a Link Between Vitamin D and Depression? Vitamin D, along with diet and exercise, has emerged as one of the most important preventive factors in human health. Life Extension has been talking about the need for more vitamin research for years … and it seems mainstream medicine is finally listening. Vitamin D blood testing is at last becoming an integral part of yearly physical exams. Thank goodness. Studies since the 1990s have clearly shown a link between low vitamin D and many conditions including heart attacks, diabetes, multiple sclerosis, strokes, and even cancer.1-5 Interestingly, vitamin D deficiency seems to be linked to depression as well. A significant number of studies have recently looked into the question of whether or not low vitamin D can precipitate depression. Most depression experts believe there is a link, given the fact that every cell in the human body, including brain cells, has a vitamin D receptor. That means that this important vitamin plays a role in the normal to even optimal functioning of all cells. Similar findings were seen in another study involving more than 12,000 people. Participants with lower levels of vitamin D were more likely to experience depressive symptoms.7 These studies lead to the following question: What is it about vitamin D that makes us feel happy? It turns out that vitamin D supports serotonin and dopamine production. Serotonin and dopamine are integral to our feelings of happiness. Most antidepressant medications work by modulating serotonin and dopamine activity in the brain. In a fascinating study, scientists discovered how sunlight directly influenced serotonin production. Blood samples were taken from 101 men during exposure to different amounts of sunlight. Serotonin metabolites were highest when men were exposed to the brightest sunlight.8 This makes sense when you remember that vitamin D is produced in the skin when exposed to the sunlight. Does Your Body Make Enough Vitamin D? Vitamin D is the only vitamin that can be made by the skin upon sun exposure. However, during the winter it becomes increasingly difficult to make enough.10 The days are shorter and people avoid going outdoors because it’s too cold. 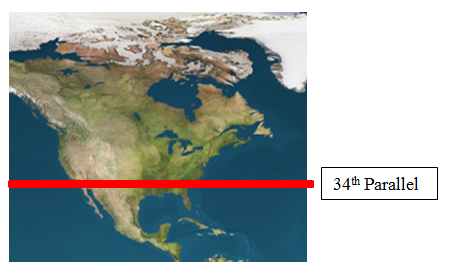 Here’s an interesting fact: If you live above the 34th parallel your body won’t make vitamin D during the winter months.11 The following map shows where the line crosses the United States. If you live above the line, there’s no D for you when you need it most — during the cold and flu season. Although foods like fish, eggs, and dairy are potential sources of vitamin D, you probably won’t get enough by just eating these foods alone. This is why supplementation is really important. Life Extension’s own research shows that it may take between 5,000 to 10,000 IU of supplemental vitamin D daily to bring individuals to optimal blood levels (50–80 ng/ml). Before you start supplementing with vitamin D, you should ask your doctor to perform a 25-hydroxy vitamin D test (or order one yourself). This will measure the amount of Vitamin D that circulates in your bloodstream, and it can pinpoint a deficiency. Please note: Vitamin D is found in two main forms: vitamin D2 (from plants) and D3 (from animals). There is a growing concern that vitamin D2 is not as good or as absorbable as vitamin D3. The truth is that our bodies have the capacity to convert both D2 and D3 into the active form of vitamin D. A study conducted by Boston University School of Medicine found that 1,000 IU of vitamin D2 daily was as effective as 1,000 IU of vitamin D3 in maintaining serum vitamin D levels. However, there is research showing that higher dosages of vitamin D3 are better absorbed. Whatever form you decide to use, follow up with a vitamin D blood test to ensure you obtain optimal levels. For thousands of years, the sun has represented happiness and life. Until recently, we didn’t know exactly how the sun influenced our mood. Now we know that vitamin D is the missing link in this age-old mystery. Have you had your vitamin D blood level checked? If not, do it right away! Int J Epidemiol. 1990 Sep;19(3):559-63. Arch Intern Med. 2007 Jun 11;167(11):1159-65. Proc Soc Exp Biol Med. 1997 Oct;216(1):21-7. Nutr Metab Cardiovasc Dis. 2005 Jun;15(3):188-97. Cancer Causes Control. 2005 Mar;16(2):83-95. Brain Res Mol Brain Res. 1996 Feb;36(1):193-6. Khalsa, Soram. Vitamin D Revolution. Hay House Publishing, 2009. Maylin does an excellent job in summarizing the benefits of obtaining vitamin D on a daily basis. 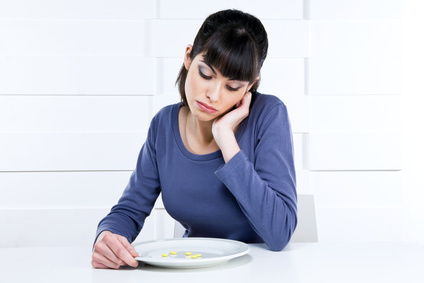 It is well known that there is a correlation between a lack of the vitamin and depression. We at our counseling firm help our clients understand the importance of obtaining the vitamin through natural means. For example, we recommend that people get at least 15 minutes of sun exposure daily. It is best if this exposure is coupled with an outside activity such as running, walking, gardening, as physical exercise is also shown to help depression. Excellent article and highly interesting as well. I use a UV lamp in the wintertime that really seems to work wonders for my moods. Vitamin deficiency is a bigger problem than most people realize so articles like this are especially helpful. Vets have known for several decades that primates cannot deal with D2. Would you recommend that pregnant women take Vitamin D3 and if so, what amount? I've seen recommendations of up to 4,000iu per day. Great Post...I like ur article..This is my first post.. I will bookmark ur website.. Thank you everyone for you comments. We really appreciate all of your support. Vitamin D receptor binding to its partner, Retinoid X receptor has been visualized by the french research team for the first time, which could lead to possible enlightening of mode of action of this nuclear receptor and for possible cures for many ailments. I hope that this will cure our depression problems. Nice blog, I've been looking for this information for ages, I would just like to know if this vitamins will be safe for pregnant woman who got depression? Vitamin D is a basic key nutrient for life. It's important for all people. But with that said, we cannot give specific advice for anyone, so please speak with your doctor. Doctors are idiots. Ive been jerked around so much by these clowns and none of them can pinpoint my problems which include fibromyaglia, add, rls etc.. Im in severe pain daily and can barely walk at age 34 i feel like im 90.. Its utter bs and our foods our nutirent lacking and gmo garbave.. Pure poison.. They are trying to kill us off and make money doing it... Im utterly pissed off at doctors, this pill pushers that cause more damge than good.